We all want the same things from life. Comfort, prestige, happiness, excitement — life is at its best when you can find all of these elements close to home. This is the essence of Grande Mirage — an all-new condominium residence that towers above the vibrant heart of downtown Mississauga. Building on the success of the original Mirage tower, Grande Mirage embodies the many elements that create truly luxurious urban living. 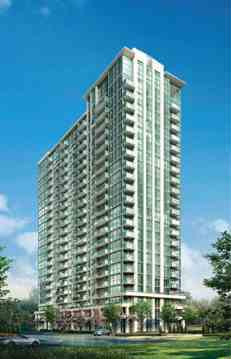 Formed with glass, metal and precast elements, and featuring large windows and inviting balconies, the design of Grande Mirage reflects the renaissance in contemporary urban architecture that can be seen throughout downtown Mississauga. If you’ve been imagining a place where built form and the urban environment combine to create a lifestyle opportunity like no other, you’ll be pleased to find that your imagination can be a reality at Grande Mirage. The resort-inspired atmosphere carries on throughout the extensive selection of amenities. An outdoor entertainment terrace provides the perfect venue for all of your entertaining needs, and an indoor party room is also available. A fitness centre, aerobics room and indoor pool offer ample opportunities to keep in top shape, while saunas are waiting to help you refresh and recharge once your workout is done. You also have access to a cards and billiards room, a private bowling alley and a state-of-the-art home theatre room. With so much to enjoy, you’re sure to always have a grande time at Grande Mirage. 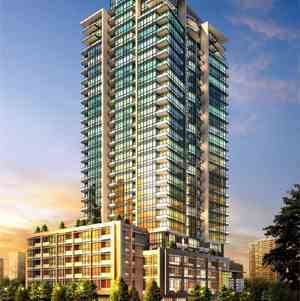 Grande Mirage is a condo development by The Conservatory Group currently in preconstruction at Confederation Parkway, Mississauga. There’s easy access to public transit, the proposed Highway 10 LRT line, GO Transit and Highways 401, 403 and 407.The convenience and excitement of downtown Mississauga are yours to enjoy at Grande Mirage, with a host of impressive urban amenities available just outside your front door. A short walk down the street brings you to the famous Square One, one of the largest and most prestigious shopping centres in North America. The Conservatory Group is tangibly one of the most accomplished and successful condominium designers to be found in the Greater Toronto region, establishing striking city towers founded on dramatic characteristics, updated layouts, and impeccable engineering. The famous structures constructed by The Conservatory Group include Infinity: The Final Phase Condominiums at 51 Lower Simcoe Street; Waterways Condominiums at 68 Marine Parade Drive; Milan Condominiums at 815 Church St; Port Union Village in Port Union Condominiums And Town Houses at Lawrence Avenue East and Port Union Road; The Platinum Condominiums at Doris Ave & Spring Garden Ave; The Universal Suites at Condominiums at Confederation Pkwy & Rathburn Rd W; The Pearl Condominiums And Town Houses at 35 Hollywood Avenue; Altitude Condominiums at Ellesmere Road and McCowan Road; and Wide Suites Condominiums at Matthews Gate and Hurontario Street.